The 5 star g Hotel and Spa is located on the edge of Lough Atalia as you enter the heart of Galway City. It is than 3 minutes drive to Eyre Square and won Best Hotel at the 2015 Best of Galway Awards. The only 5 star destination spa hotel in Galway City, the g Hotel & Spa is a modern hotel with designer interiors and a warm Irish welcome. 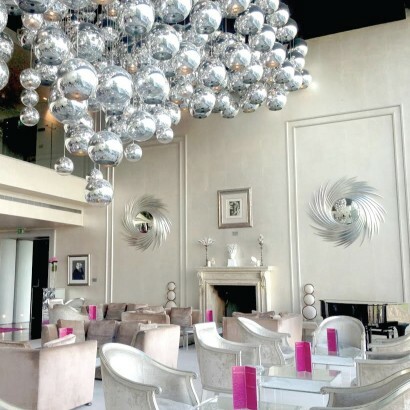 Designed by the world renowned milliner and Galway native, Philip Treacy the g offers 101 restful bedrooms and magnificent suites as well as ESPA luxury spa. 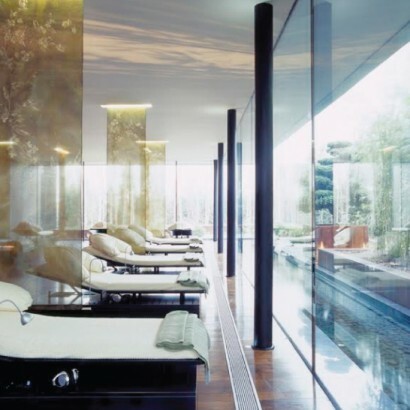 ESPA at the g was voted Best Hotel Spa in Ireland by Irish Tatler Magazine in 2014. It is the ultimate comfort zone matched by an extensive menu of ESPA treatments. In addition to casual dining in three stunning Signature Lounges, the g has been awarded two AA culinary rosettes for Restaurant gigi’s which offers a selection of four menus daily. 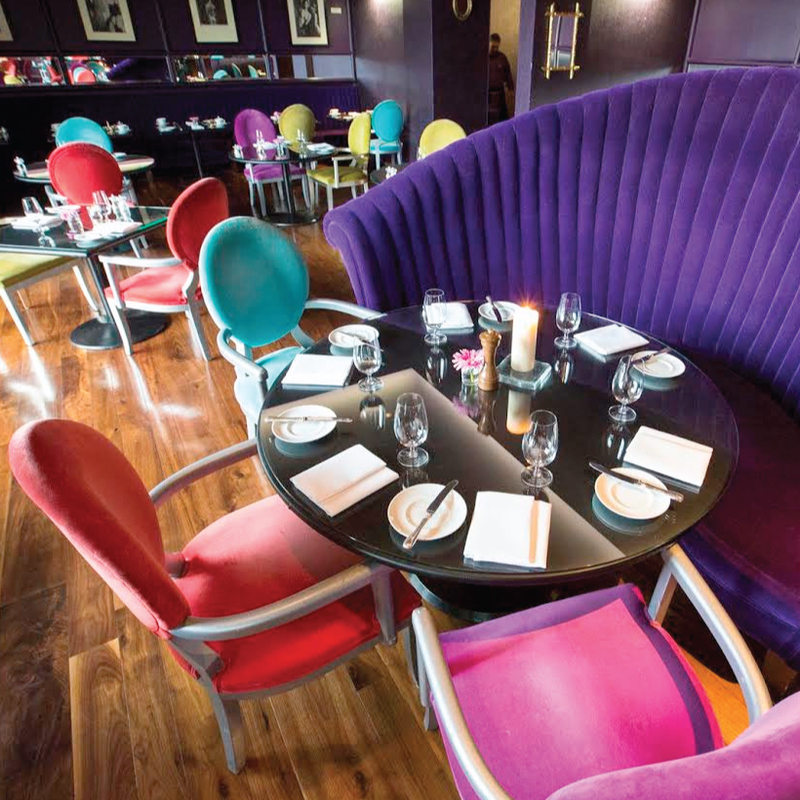 Guests may choose the menu that best suits their occasion; the Irish Steakhouse Corner serving mouth-watering locally sourced steaks from €26.00 or the Delight Menu at €29.50 for 2 courses to the Indulge Menu from €42.00 for 2 courses and the Share Menu at €49.50 per person sharing. 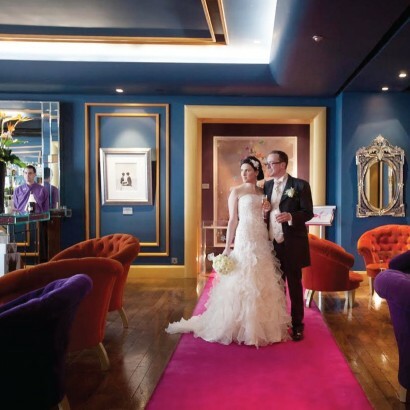 The g Hotel & Spa is also an approved venue for Civil Ceremonies and welcomes weddings for up to 180 guests. 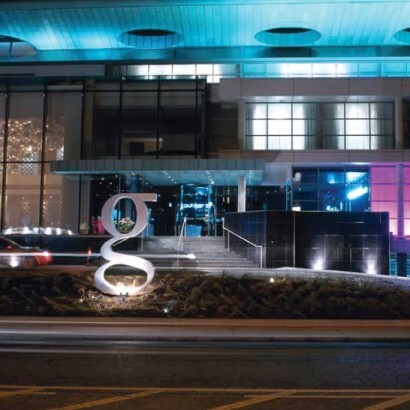 The g is the ideal base from which to explore the city and surround areas such as Connemara and the Cliffs of Moher. 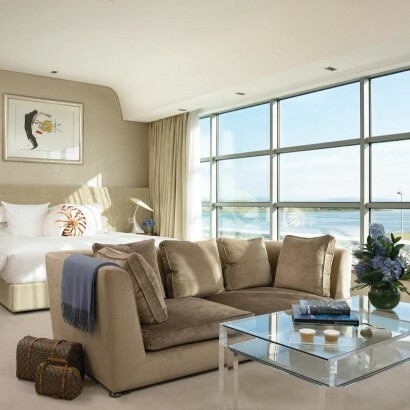 Take a leisurely walk to town and visit the Spanish Arch, Galway City Museum, Galway Cathedral or enjoy a daytrip to the Aran Islands, The Burren or Kylemore Abbey. 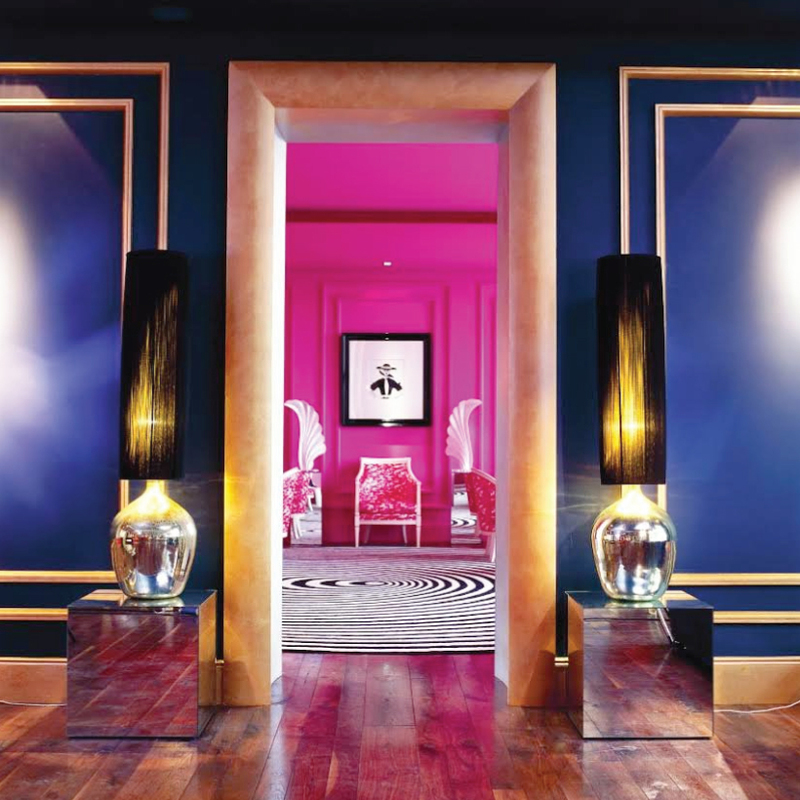 Our Concierge Team, with qualified Les Clefs D’Or (Golden Keys) recognition are on hand to help plan your perfect stay.